An immaculate blue horse box. 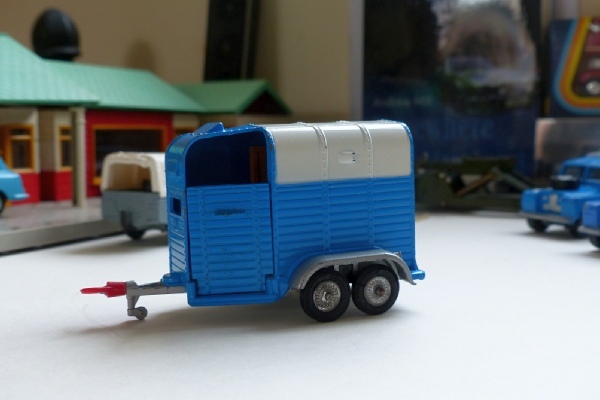 This is the wider version of the Pony Trailer produced and has a side opening and a nice cork covering on the ramps. Inside is a very clever divider that would allow each horse to exit or enter from either door. A very nice model that is available as part of the Gift Set 15 I am selling or individually. This is the first edition with cast, spoke-effect, wheels and suspension with a red coupling. This is an example of the closed vent at the top.